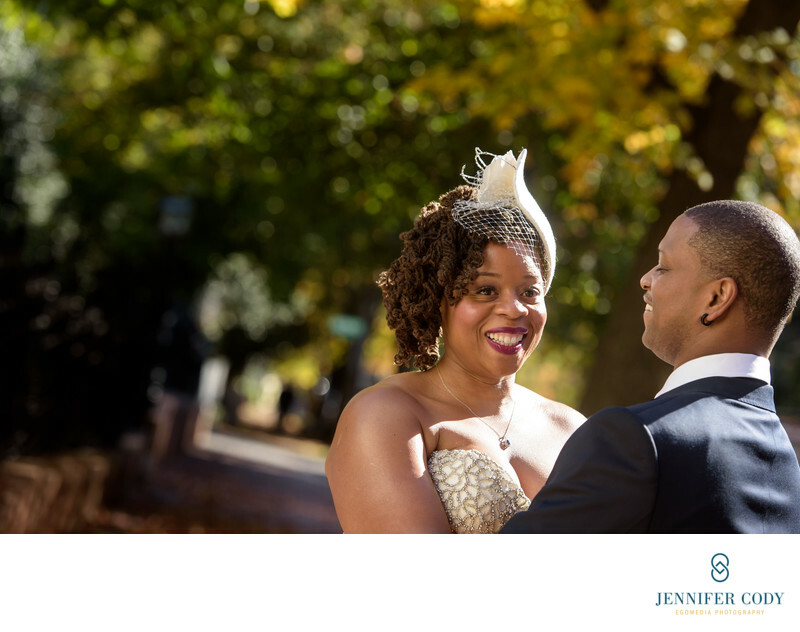 This happy couple met me at the gates of Tudor Place on their wedding day so that we could get some images in Georgetown before their ceremony. Tudor Place (and gardens) is a stunning place for an outdoor wedding. They have numerous locations available within the property. After walking around Georgetown for awhile, we headed into Tudor Place for their ceremony. They exchanged personal vows and ended their ceremony by jumping over the broom. The best man was there to support them and hand over the rings at just the right time! Location: 1644 31st St NW, Washington, DC 20007.